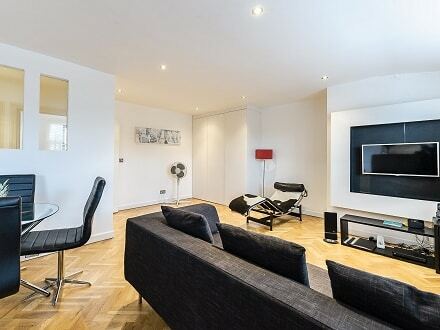 Stay in a high quality serviced studio or apartment and experience what it’s like to live in London. You can choose from three levels of accommodation, standard, superior and luxury. Above all, our apartments provide the ideal base for exploring London. Enjoy the luxury of living close to shops, restaurants and the main attractions of central London. Since all our apartments are close to an underground station, you can see the city sights on foot or just hop on the tube. Choose from apartments with one or two bedrooms and bathrooms. All have a living/dining room where you will take your English lessons, and a fully-equipped kitchen. Consequently, you can choose between eating out or preparing meals yourself. Our L-shaped studios have a living area with dining table and a kitchen and are the ideal option for solo holidaymakers. 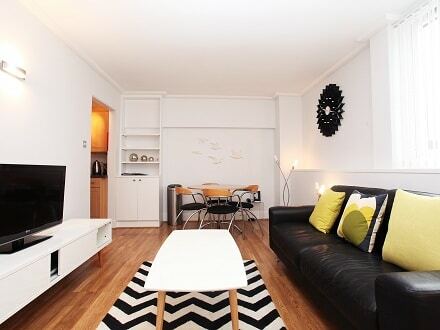 Our Standard studios and one-bedroom serviced apartments are in two locations, Camden and Fitzrovia. The contemporary apartments have a living room, fully-fitted kitchen and bathroom with bath and shower while studios are L-shaped, with a living and dining area and a kitchen. 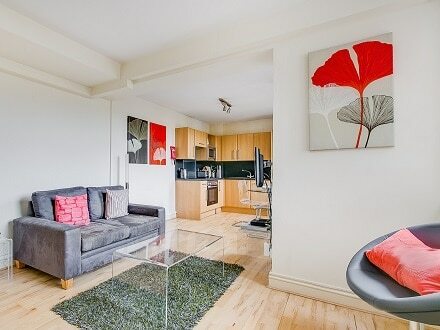 Contemporary open plan studios and one and two-bedroom serviced apartments in London’s West End. The apartments offer high quality accommodation for couples and families and are superbly located for London’s restaurants and theatres. Oxford Street is on your doorstep and Knightsbridge just a stroll away, across Hyde Park. These newly refurbished one and two-bedroom apartments have been designed to provide luxurious living in the heart of Marylebone village, one of central London’s premium spots for fashion and culture. The streets around Marylebone High Street are famous for their stylish boutiques, cafés and restaurants.